Part one of this series is here. You know what a motor is. But you may now know what a stepper motor is. A stepper motor is a motor where an exact, precise, jolt of electricity will rotate the shaft one complete revolution. This is very useful for when you need to move something in a measured manner, like say, a printer. The Reprap will use several of these. 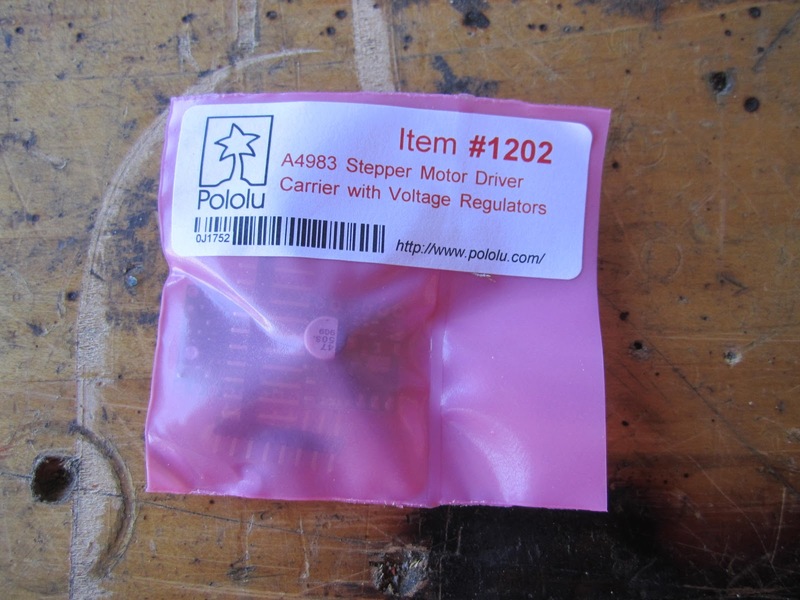 I will be using Pololu A4983 stepper motor drivers. Converted the loose wire ends on the motors to convenient plugs (x4 motors). Soldered the driver boards together (x4 drivers). Programmed the Arduino Mega to talk to the Reprap software. Lots of little bits to connect. The USB cable is connected to a netbook which is programing this Arduino. 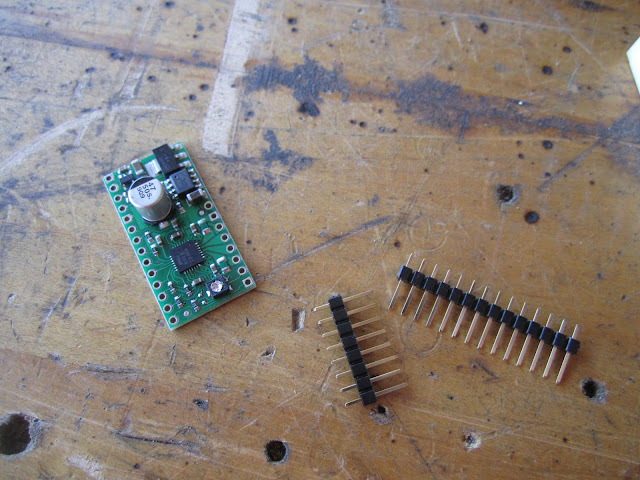 Driver, post solder. I'll try to get a better picture of this later.